Tushar is a personal finance enthusiast who loves to write on money, savings, investments and spending. 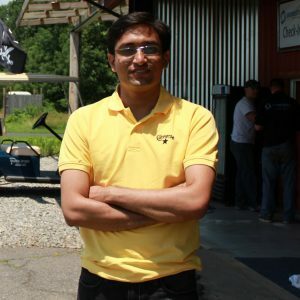 Through his writings on https://jaintushar.com/, his vision is to make personal finance easy and comprehensible for his audience. Subscribe to his blog. It’s that time of the year again when majority of the salaried class starts looking out for the best tax saving options. 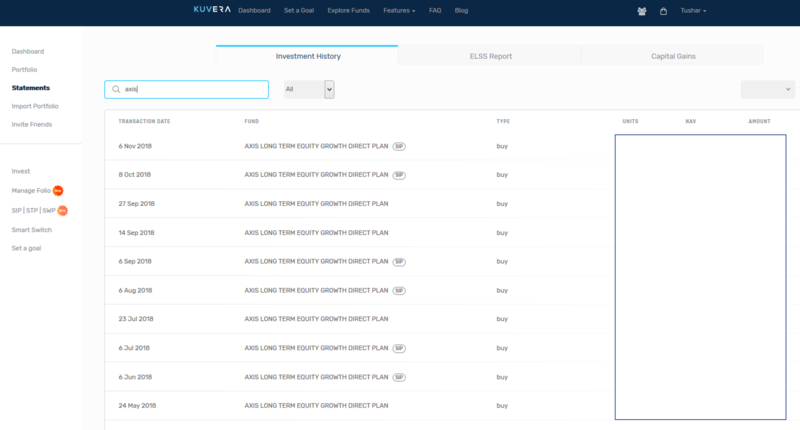 While there are multiple tax saving instruments available under section 80C, Equity Linked Saving Schemes (popularly known as ELSS) comes as a top choice – thanks to lower lock in period, increased acceptance and ease of investment via Kuvera. However, staying invested in ELSS is not that straightforward either. There are few caveats which you need to keep in mind once you select ELSS as part of your financial plan. Below I am covering 5 such caveats. January – March quarter of every financial year is the time when the activity in ELSS is at its peak. However, this may not be the best strategy to follow with your ELSS investments. Ideally, tax saving via ELSS should be a part of your overall personal financial planning and should begin right at the start of the financial year i.e. from April onwards. That way, you will stick to the discipline of investing, can benefit from cost averaging and won’t be in a pressure to save tax at the 11th hour. As a case in point, take a look at my investment for year 2018 in Axis Long Term Equity Growth Plan. You will see SIPs as well as lumpsum payments multiple times in an year. I have been following this strategy for past 6 years now and my XIRR for the fund is ~12%. Not bad. If you fall in the user group that is used to taking action at the end moment, make sure this is the last time you are doing, especially w.r.t your ELSS investment. From next year onwards, start investing in ELSS right from April. Better you do SIPs if you are not an active investor. While the lock in period of ELSS is 3 years and you are free to withdraw your money after this time-frame, it doesn’t mean you have to necessarily pull out your money as soon as the 3 year period ends. You may be investing in ELSS purely for tax benefits. However, link it to your long term financial goals. If the fund is performing well, give at least 5 years to yourself before you pull out. Otherwise, you may not be drawing out full potential of your ELSS. Strategy to switch funds is quite widespread among the DIY investors. The idea is to pull out the money at the end of the 3rd year from your ELSS, pay 10% capital gains as tax on it and reinvest the money in another ELSS. So you don’t need fresh capital to invest but can still avail the tax benefits of section 80C. Well, I am not a big fan of this strategy. This makes sense if the fund hasn’t performed well for 3 years. But if it has, there’s no point switching to another one. Stay invested and increase your SIP amounts each year than switching to alternate options. The assumption is that they are de risking themselves. So if one ELSS doesn’t perform well, the other one will. Well, that may not be the best case scenario most of the times.By investing in multiple ELSS, you may be spreading yourself too thin. In fact, most of the ELSS may be investing in same sectors & stocks. It’s better to stick to one ELSS and increase your investment there rather than switching the fund every year, unless the fund isn’t performing as per your expectation (or as per the benchmark). If your only source of income will be your mutual funds, then only opt for dividend option. Otherwise, opt for growth option. Dividend is declared from the profit that the fund makes. If you take that profit home, you kill your chance to earn from the reinvested capital. But if you opt for growth option, the money is invested back to the mutual fund and that reflects in your appreciated capital. Do you have a caveat to add? Comment below and let the audience know the caveats you follow when investing in ELSS.